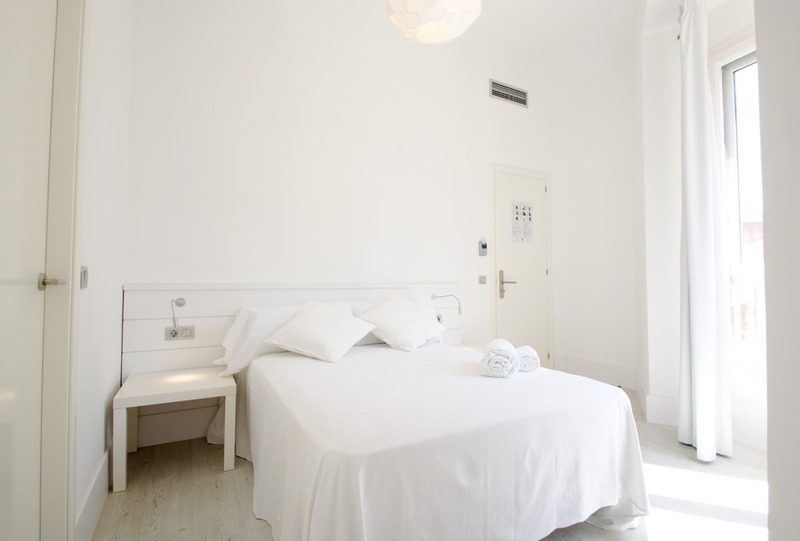 From 50€ per night - 13 rooms of 7 types. 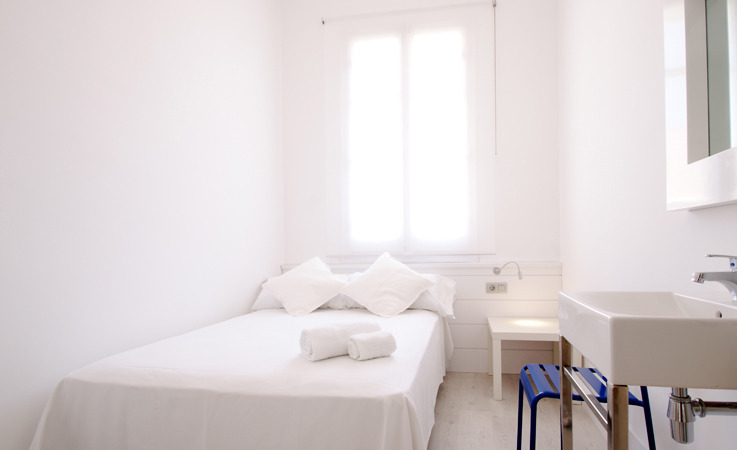 The single rooms have a bathroom shared between a maximum of two rooms with shower and hairdryer. The room includes a handbasin and a mirror. 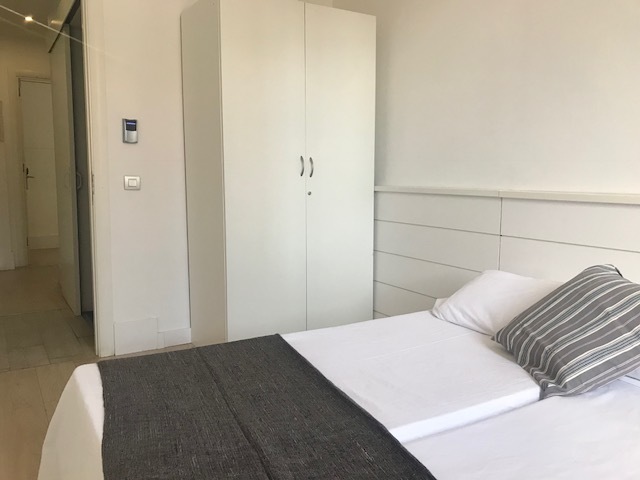 These rooms are approximately 10 m² and offer a comfortable single bed of 90cm x 190cm. The single rooms include flat-screen TV, safe with place for a laptop, free wifi, heating, air conditioning and mirror. Children free from 0 to 3 years old in baby cot, on request. The economy rooms measure approximately 11 m². 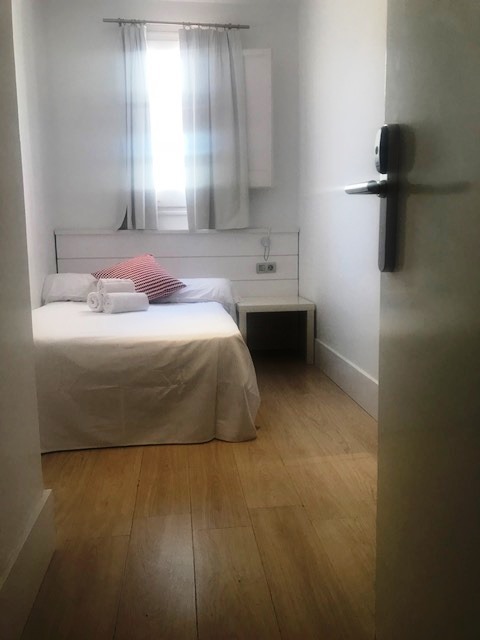 They have a comfortable 135cm x 190cm double bed and a shared bathroom outside the room. 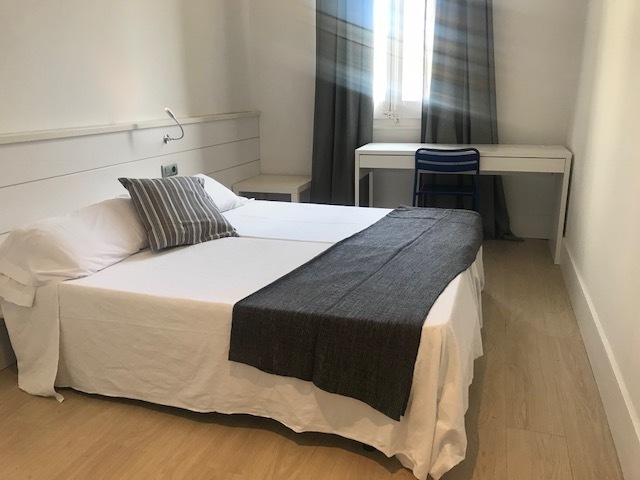 The economy rooms include flat-screen TV, safe, free wifi connection, air conditioning and heating. This apartment has 1 double room, one suite room with private bathroom and balcony and one single room. All with wardrobes and study desk. One more full bathroom and a separate toilet. Fully equipped kitchen, fridge,kettle, microwave, a table with chairs and ironing board. In addition to a small lounge with armchairs. It requires a minimum stay of 32 nights. 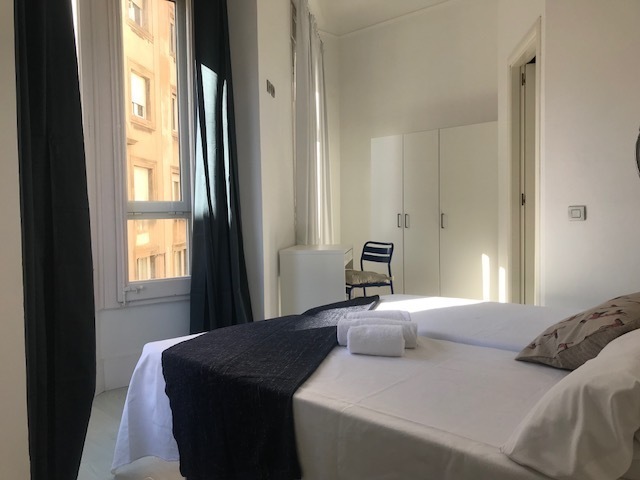 A supplement of 35€ will apply when requesting a change of sheets, towels and cleaning of the apartment during the stay. And a supplement of 15€ for only the change of sheets and towels. Perfect for little groups! This apartment has 3 double bedrooms, one of them with private bathroom and blacony. All with wardrobes and study desks. One more full bathroom with hair dryer and also a separate toilet. Fully equipped kitchen, fridge,kettle, microwave, a table with chairs and ironing board. It requires a minimum stay of 32 nights. 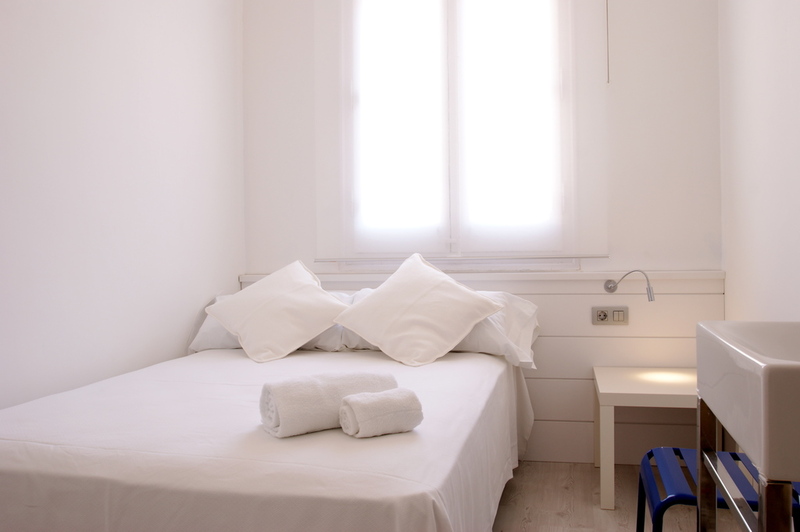 A supplement of 35€ will apply when requesting a change of sheets, towels and cleaning of the apartment during the stay. And a supplement of 15€ for only the change of sheets and towels.